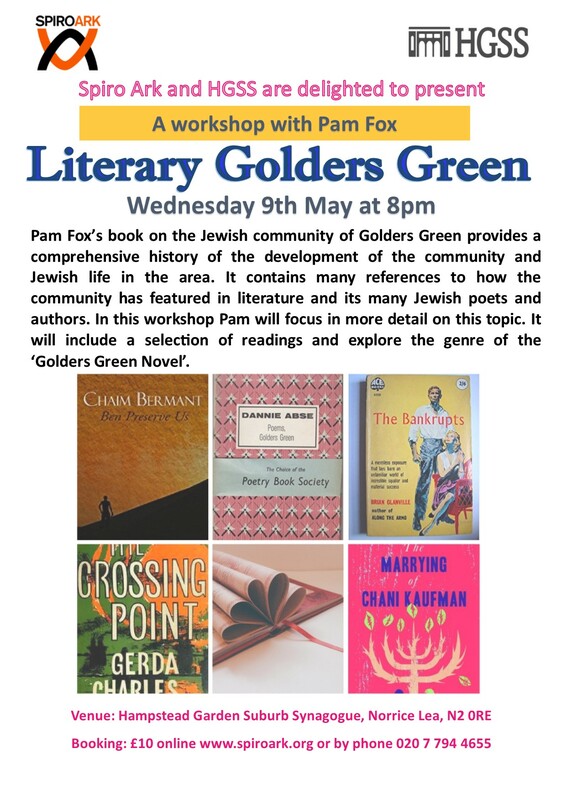 Pam Fox’s book on the Jewish community of Golders Green provides a comprehensive history of the development of the community and Jewish life in the area. It contains many references to how the community has featured in literature and its many Jewish poets and authors. In this workshop Pam will focus in more detail on this topic. It will include a selection of readings and explore the genre of the ‘Golders Green Novel’.